Discussion in 'Pokémon Anime' started by May, Oct 16, 2014. 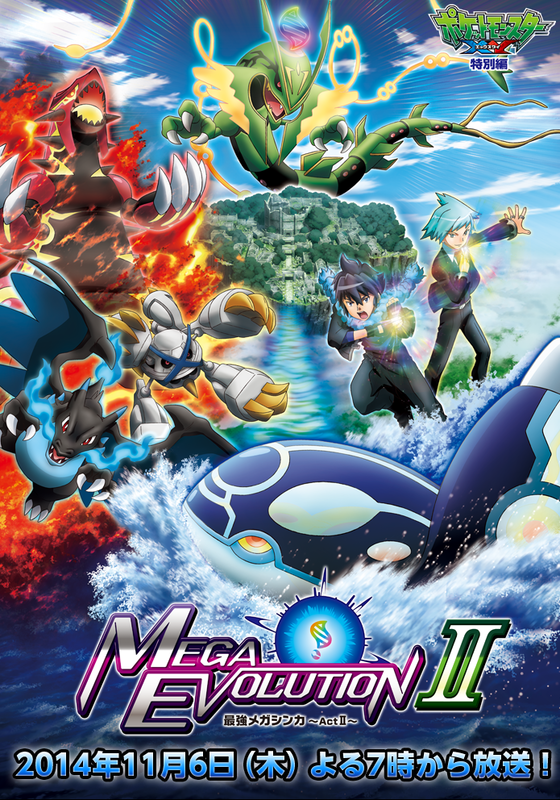 Today the official Japanese website about the upcoming episode of "The Strongest Mega Evolution ~Act 2~ updated along with a new trailer. The anime will air in Japan November 6, 2014. Alan continues his journey to master Mega Evolution and stand on the top as the strongest. He arrives at Hoenn where sme new Mega Evolutions and the strongest Hoenn Trainer, Steven, waits for him. Alan and Steven will battle against each others and during the battle a mysterious man appears. In Hoenn there's a megaliths and finally some mysteries of Mega Evolution starts to unravels.